'Rediscovery' part one! 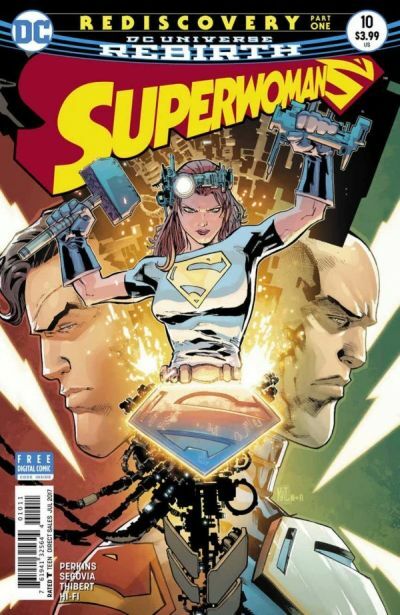 Superwoman is on the hunt for the man responsible for landing Natasha Irons' father, Crash, in jail-the deadly Skyhook! But Steel is urging caution, and the three heroes are at odds over how much they can trust Crash's motives. The true history of Steel's family tree will be revealed as the group is torn apart. RATED T Includes a code for a free digital download of this issue.